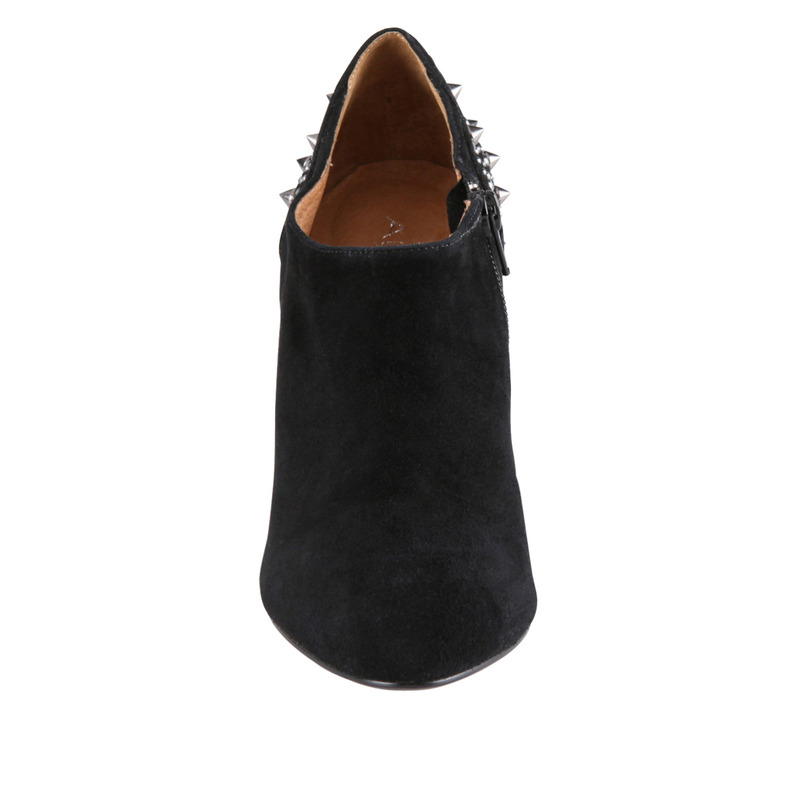 These are called Frosaac by Aldo and are black suede studded ankle booties with a 4.5 inch heel. These have a classic type of look and can actually look "plain" if that's what you want when wearing pants but they also have a nice punch of extra personality and style with the studded back that is awesome to show off. I tried them in store the other day and fell in love with them. I felt like a total star! They are quite high for me with the 4.5 inch heel since I'm 5'9 already but I was actually able to walk in them and even found them comfortable. These run small - I had to try size 11(!) but they had my size so yay. I'm going to wait and hope they go on 50% off or more special next season... I can't imagine myself paying 110$ for heels, it's just not going to happen with all the other costs I have supporting a family of 4. 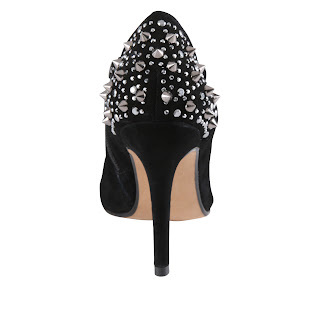 I love the style of the heel..and I know studs are super in right now, but it's just not my thing. I hope you can get them!